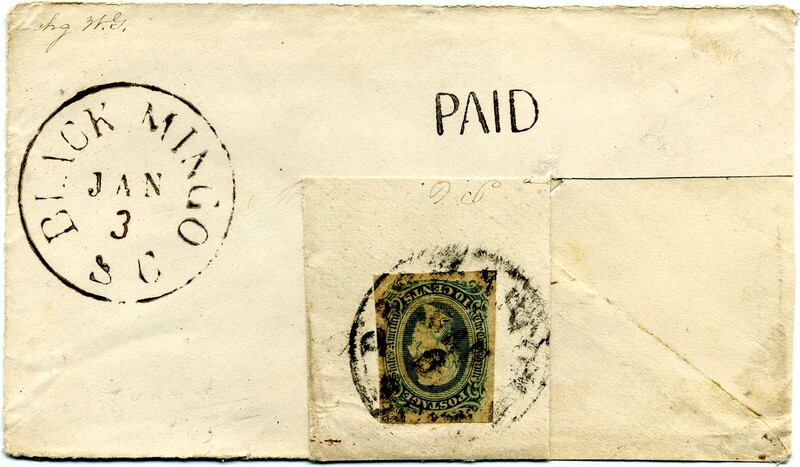 CHARLESTON / S.C . // AUG / 12 / 1863 double circle cancel with matching large soldier's (due) 10, docketing of "(Corpl) TWG Inglet Co C 28th Ga. Regt. ", fresh, pencil slash of unknown derivation, Very Fine. T. W. G. Inglett of Comp C 28th Ga Inf survived the war, although he was grievously wounded. Much more information is available on the linked page. 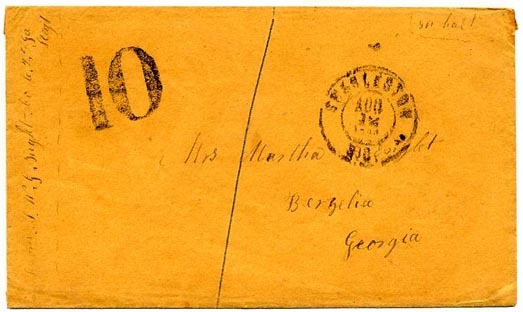 CHARLESTON / S.C . // NOV / 14 / 1863 cds with matching large soldier's (due) 10, docketing of "(Corpl) TWG Inglet Co C 28th Ga. Regt." on turned cover; inside a CSA 11 tied Berzelia, Geo. 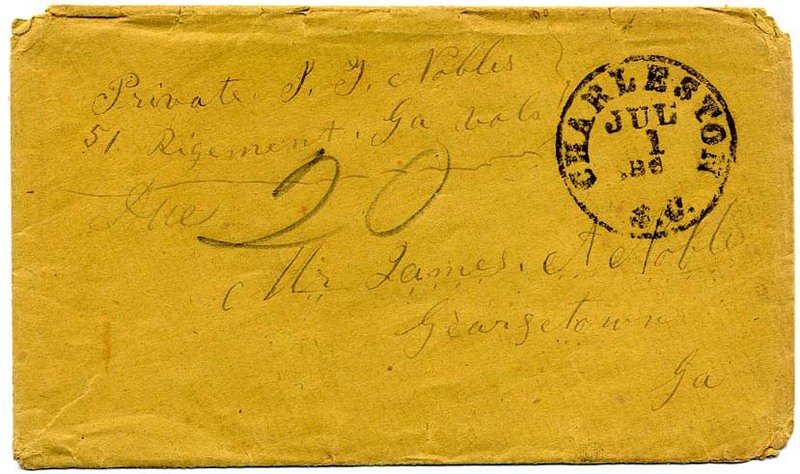 cds has been torn off - addressed to Inglet in Charleston Cear (sic) Capt Crawford 28 Regt Ga Vol., fresh, double pencil slash of unknown derivation, Very Fine. T. W. G. Inglett of Comp C 28th Ga Inf survived the war, although he was grievously wounded. Much more information is available on the linked page. 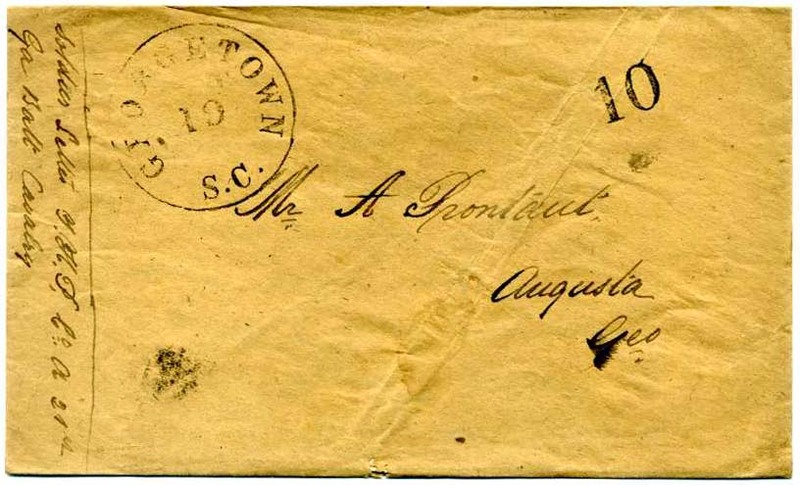 South Carolina Soldier’s DUE 10, no town postmark, docketed “From Capt. 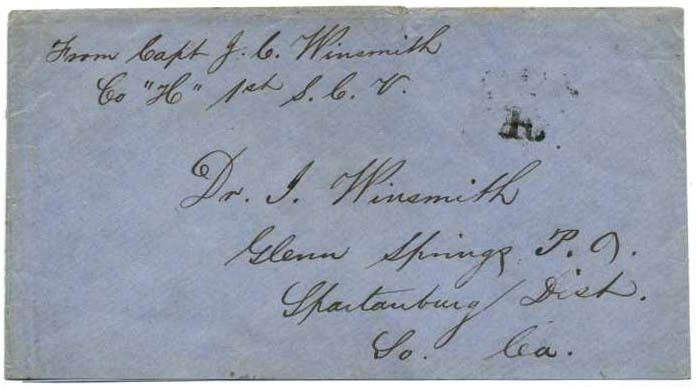 J. C. Winsmith, Co ‘H’ 1st S.C.V.” to “Dr. J. Winsmith, Glenn Springs P.O., Spartanburg Dist, So. Ca.” on blue commercially made envelope. Capt. Winsmith was wounded at Sharpsburg 9-16-62 and again at Fort Harrison in 1864, but did survive the war and continued his career as a lawyer. He was appointed to brigadier general of state militia in South Carolina in 1865 and served for one year. COLUMBIA / S.C. // OCT / 23 blue cds with matching large handstamped (due) 10 on clean homemade cover to “Mrs. W.H. 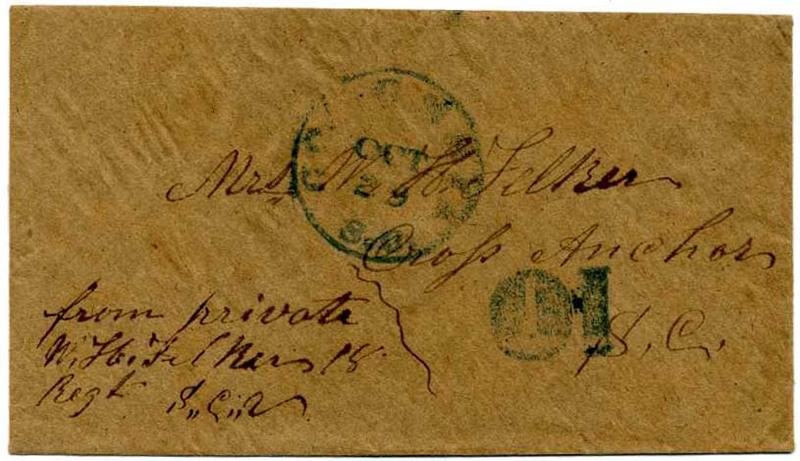 Felker, Cross Anchor, S.C.” with soldier’s endorsement “from private W.H. Felker 18 Regt So Cav”. Wiley H. Felker was a private in Co E of the 18th SC Infantry. SC DUE 10 with matching indistinct cds on cover to “Mrs. 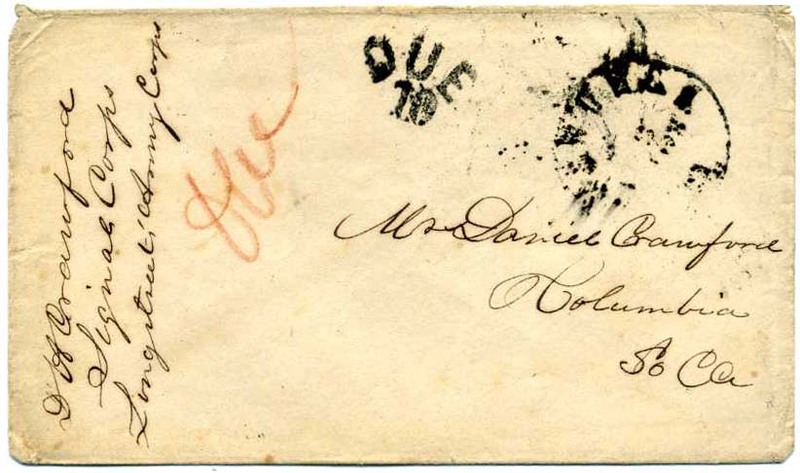 Daniel Crawford, Columbia, S.C.”; also red crayon “Due”, great endorsement of “D.H. Crawford Signal Corps Longstreets Army Corps”, Very Fine $200. Captain Daniel H. Crawford, A.Q.M. 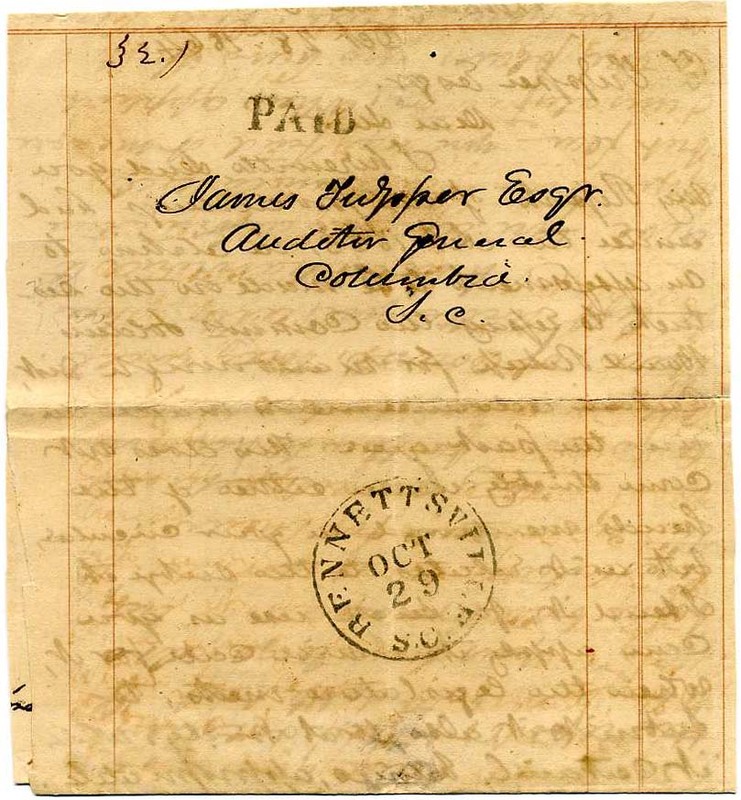 (Assistant Quarter Master) covers are addressed as him having served in McLaw's Division in 1863, and later Longstreet's Division. Much more information is available on the linked page. CHARLESTON / S. C. // JAN 12 cds and large soldier’s (due) 10 on homemade cover addressed in peacock blue ink and endorsed by “W.O. Satterfield, Whites Bat. Co. H” (Palmetto Company). He was also in Co. “K” of the 26th SC Infantry $125. William Satterfield was shown as both 15th SC Heavy Artillery Battalion and in Company K 16th SC and Palmetto Light Artillery. Much more information is available on the linked page. CHARLESTON / S.C. // JUN / 25 cds with ms pencil “Due” an bold large “10” on cover to Capt. D. H. Hamilton, Columbia, So. Ca. from another soldier endorsed “Soldiers Letter JMH MA” (Marian Artillery). $150. Daniel Hayward Hamilton, Sr. commanded the First South Carolina and had two sons in service with him - D. H. Hamilton, Jr. and James Hamilton. Much more information is available on the linked page. 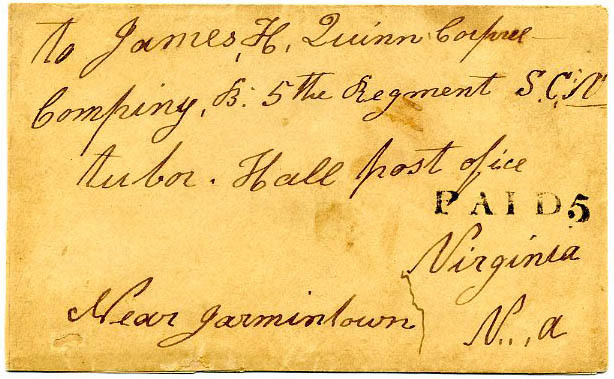 GEORGETOWN / S.C. // 14 (month missing) with matching [Due] 10 with ms “Soldier’s letter, J. H. P., Co A 21st Ga Batt. 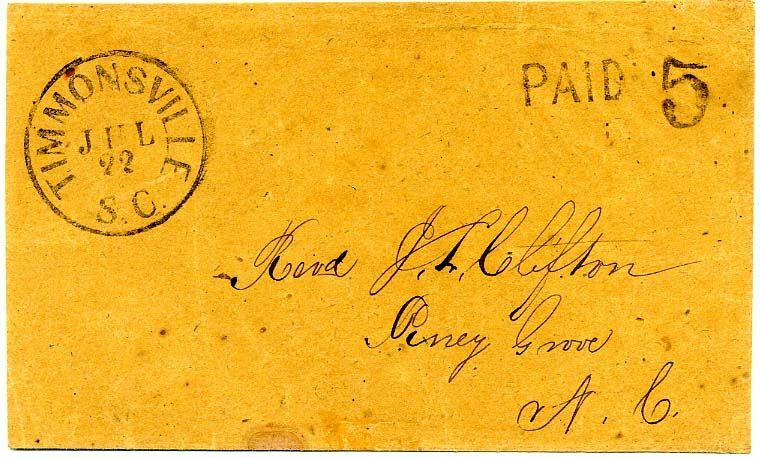 Cavalry” on cover to Mr. A. Prontaut, Augusta, Geo. [SC] [GA] $160. John Henry (Jean Henri Prontante) Prontaut (1842-1898) was in Co. A of the 21st Georgia Cavalry, the 7th Georgia Cavalry as well as Co. B, 1st Georgia Bn. Loc. Def. Infantry. Much more information is available on the linked page. LAUREN’S C.H. 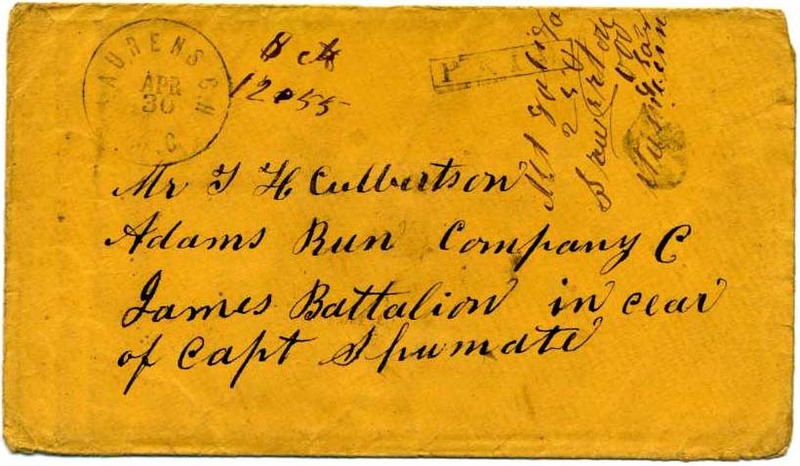 / S.C. // APR / 30 cds with matching PAID 5 on neat cover to Mr. T. H. Culbertson, Adams Run, Company C, James Battalion in cear (sic) of Capt. Shumate. $200. 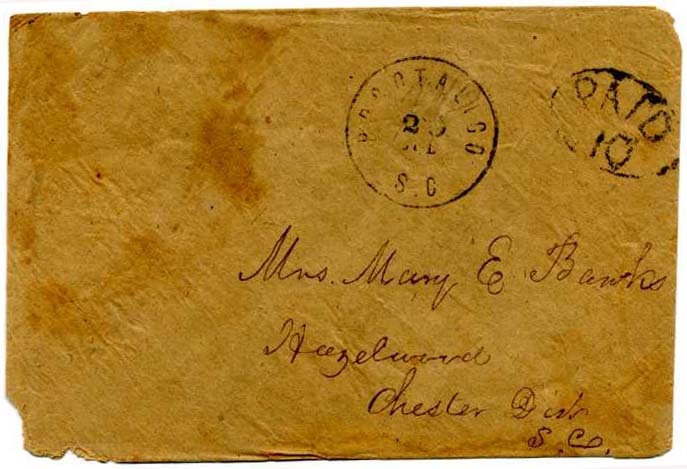 POCOTALIGO / S.C. // 20 / JUL small dc with matching handstamped paid oval PAID / 10 on homemade cover to Mrs. Mary E. Banks, Hazelwood, Chester Dist., S. Co.; light staining at left. $220. BENNETTSVILLE / S.C. // OCT / 29  neat cds with matching PAID (no rate), CC Type B, on long folded letter written on ledger page, addressed to James Tupper Esq, Auditor General, Columbia, S.C. Letter discussing Soldier’s Board Relief for Marlborough District. $200. ADAM’S RUN / S.C. cds with ms Dec 13, matching handstamped PAID (no rate), CC Type A, on adversity cover fashioned from Board Commissioners of Free Schools to the Citizens of Charleston presented July 5, 1858 program announcement, addressed to D. J. Wilkinson, Columbia, So Ca with routing Jannies Hotel. Vertical file fold at center, side flaps missing and top / bottom flaps reattached with acid-free document preservation tape. $140. 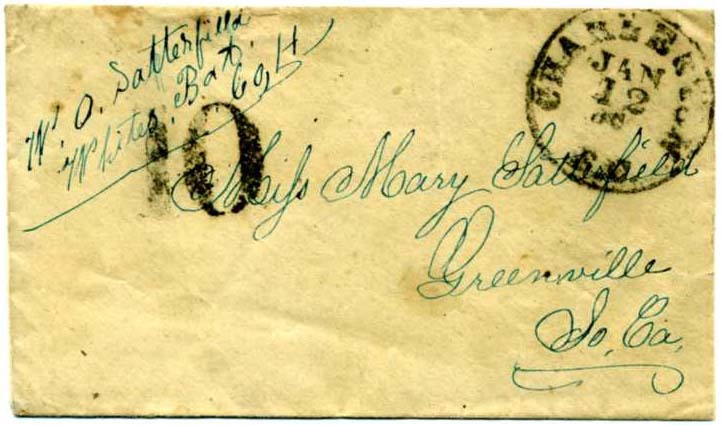 CHERAW / S.C. // JUN / 20  cds with matching 5 PAID, CC Type B, addressed to W. F. B. Haynesworth Esqr, Sumter, So Ca on stained cover, rounded corner at upper right and flap faults; original business enclosure on blue bank letterhead from cashier John F. Matheson requesting a credit reference on W. J. McLeod of Lynchburg. $100. 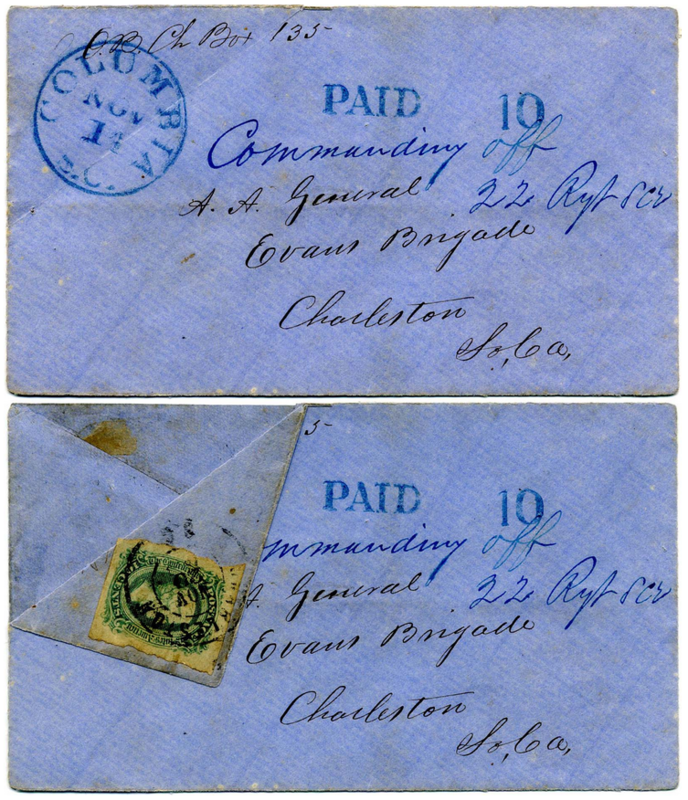 CHARLESTON / S.C. // OCT / 22  cds with matching encircled PAID 10 CC type G handstamp on clean cover to William Birnie Esq, Greenville So Ca. with long 4-page quarto business letter from Bank of South Carolina beginning with “The agency at Columbia is not closed. The rumor may possibly have arisen from the fact that amr. Bucman was quite ill for a few days and probably could not attend to the duties of his office.” Discussion of Confederate receipts, etc. “The enemy on Morris Island have been very quiet during the last three days not having thrown a single shell into the city. They may be planning mischief which will soon develop itself perhaps.” Mention of Mr. Lining who had not been working for the past six months as his health was impaired but “his country demanded his services in the field and being a conscript he had no alternative but to from a company from which he has been detailed for light duty…with the commissary department…our Confederate War Tax upon ‘Capital and Surplus Fund’ amounted to $77,925.” And so forth. Much more interesting and lengthy than the usual business letter. $180. ROBERTVILLE / S.C. // OCT / 22 cds with handstamped PAID 10 on stampless cover to “Mr. John W. Heidt, Box 420, Savannah, Georgia.” John W. Heidt was the son of Rev. Emanuel Heidt of Effingham, Ga.; born 1841; graduate, Emory College, 1859; law-graduate, University of Georgia, 186l; practiced law but gave it up for the Methodist ministry; many years a revered trustee of Wesleyan Female College as well as its president. CCV $250. $200. 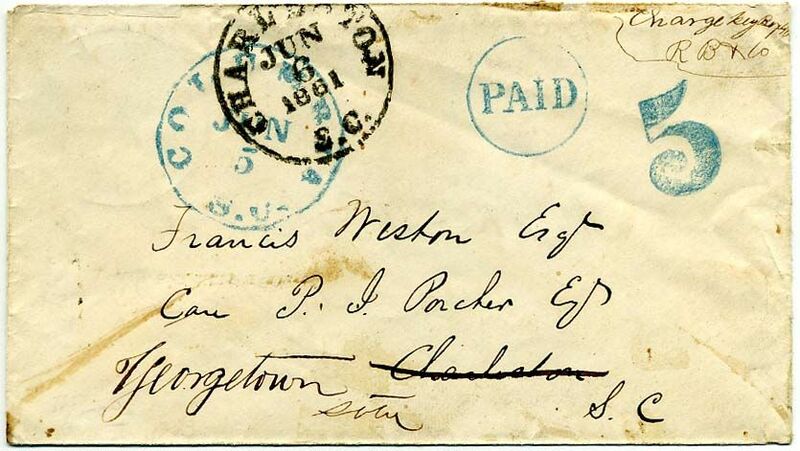 COLUMBIA / S.C. // JUN / 5  bold strike of blue circular datestamp with matching PAID in circle and "5" handstamps on cover to Francis Weston Esq Care P. I. Porcher Esq, Charleston, S.C. which has been crossed out and FORWARDED to Georgetown S.C., neat CHARLESTON / S.C. // JUN / 6 / 1861 circular datestamp, manuscript charge box at top right apparently paid forwarding postage, TURNED USE to Robert Allston, Society Hill, S.C. with inside bearing CSA 11, 10¢ blue tied by GEORGETOWN / S.C. // AUG / 5  cds, opened for display, some splitting along flaps and some wear, still Very Fine, A VERY UNUSUAL USE – TRIPLE THREAT. $600. 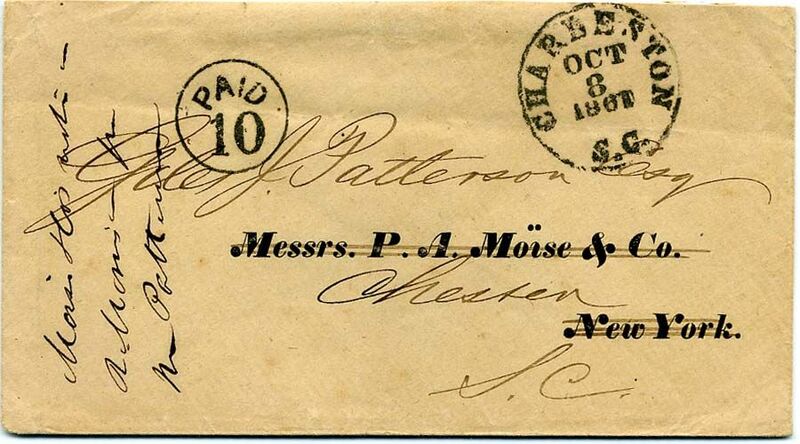 CHARLESTON / S.C. // OCT / 8 / 1861 bold cds with PAID 5 in circle on stampless cover with printed address to Messrs. P. A. MoÏse & Co. New York which was crossed out prior to use and addressed to Giles J. Patterson Esq, Chester S.C., docketed at left, missing most of top flap which shows part of ad embossing for grocer, light horizontal file fold, Very Fine double-rate use. Note on the back says the handwriting is that of S.C. Governor Allston. $250. 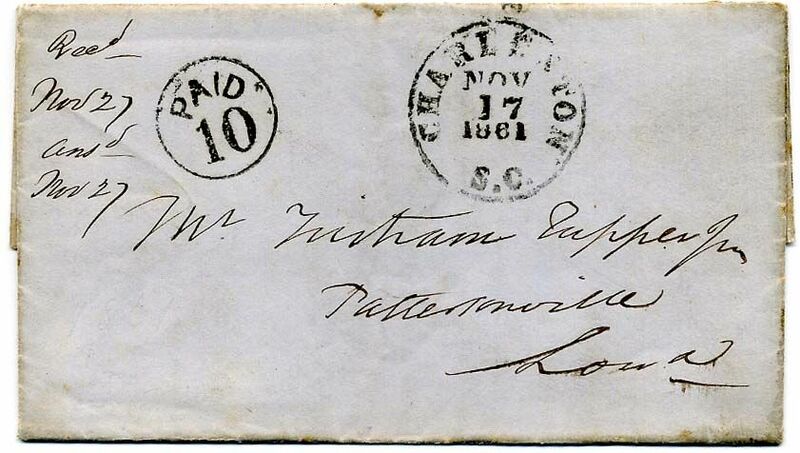 CHARLESTON / S.C. // NOV / 17 / 1861 bold cds with PAID 10 in circle on lengthy folded business letter to Mr. Tristan Tupper Jr, Pattersonville, Lousa. 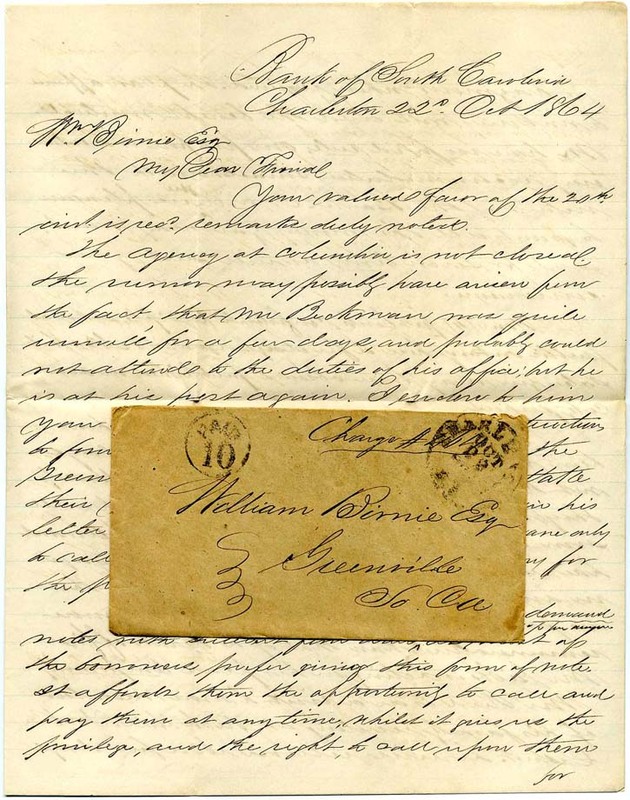 Letter says, in part, “The presence of the Enemy occupying the Sea Islands near Broad River and feared he may approach Savh or Charleston before long. We think it would be best for you to accompany or follow any shipment you have encouraged so as to retain or dispose of them at Memphis or on the line of Road as Miss seems most advisable, as hinted before, Richd and self are busy getting off Rice for Mobile, to 3 or 4 houses there who have sent friends – we have refused to received funds or order for any more.” Much more. $250. 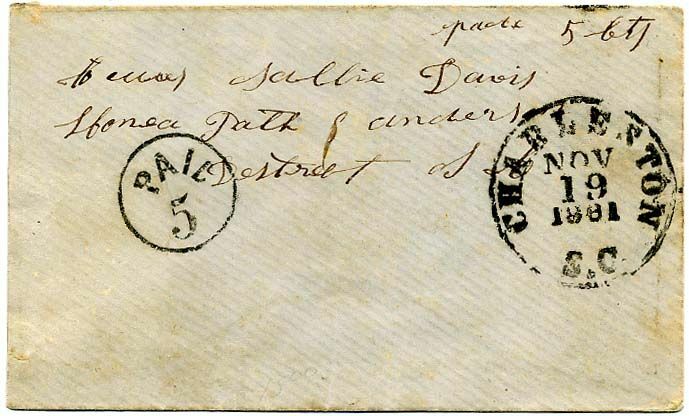 CHARLESTON / S.C. // NOV / 19 / 1861 bold cds with PAID 5 in circle on small blue cover to Sallie Davis, Honea Path, S.C., Ex Wm. A. Fox. $200. 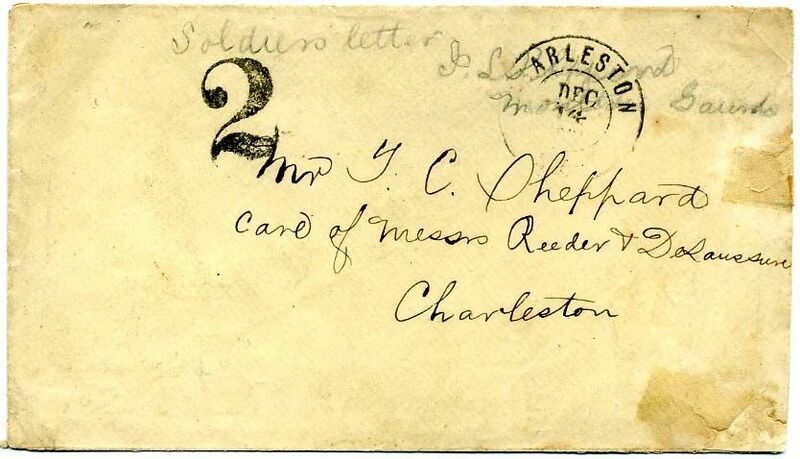 CHARLESTON / S.C. // DEC / 14 double circle with [DUE] 2, CSA Catalog type H, on cover endorsed “Soldier’s letter I. L. Sheppard, Mounted Gaurds” (sic – also known as the Charleston Light Dragoons or Rutledge Rangers) to T. C. Sheppard Care of Messrs Reeder & DeSaussure, Charleston. Slightly reduced at right and small piece added at lower right. Ex Kohn. SCARCE DROP RATE. $500. CHARLESTON / S.C. // DEC / 19 / 1861 cds with [DUE] 2, CSA Catalog type H, on cover endorsed “Official & Medical Purveyors Bureau” to Lieut. R. Dewar Bacot, Phoenix Rifles. SCARCE DROP RATE. Robert Dewar Bacot (1821-1903) was an officer in Co. A, Confederate 14th Cavalry, antebellum a Charleston businessman and slave holder and President of the Phoenix Fire Co. Family papers in the SC Historical Society. Much more information is available on the linked page. $600. TIMMONSVILLE / S.C. // JUL / 22 - gorgeous strike of cds with matching handstamped PAID with woodcut "5" (CC type A), on fresh cover to Revd J. L. Clifton, Piney Grove, N.C., Extremely Fine, ex Kohn and Babb. CCV $250. $250. 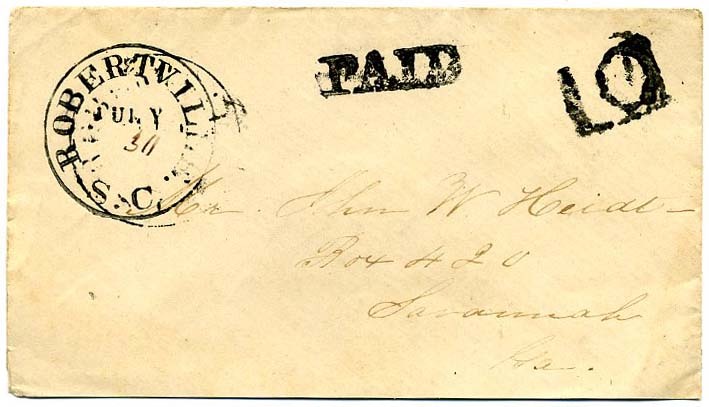 SPARTANBURG / S.C. // APR / 26 / 1862 double circle postmark with matching PAID 5, CSA Catalog type C, to Mrs. S. F. Patterson, Patterson, No Carolina; Very Fine. Ex Walcott and Littlejohn. $150. WILLIAMSTON / S.C. // NOV 1_  small cds with matching PAID 5, CSA Catalog type B on folded business letter on blue lined paper from Jas. 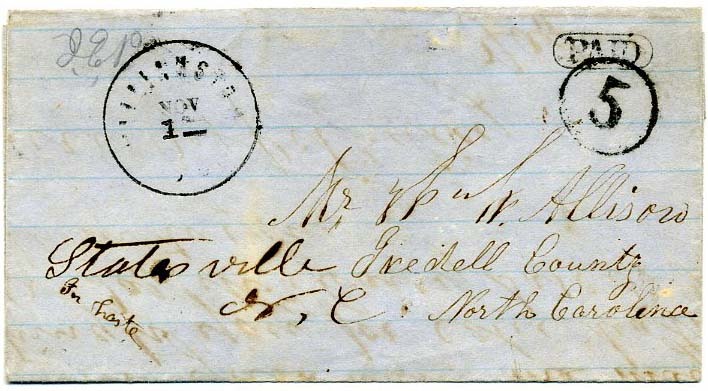 E. Pickel to W. N. Allison, Statesville, N.C. Ex Kohn, CCV $250. $180. 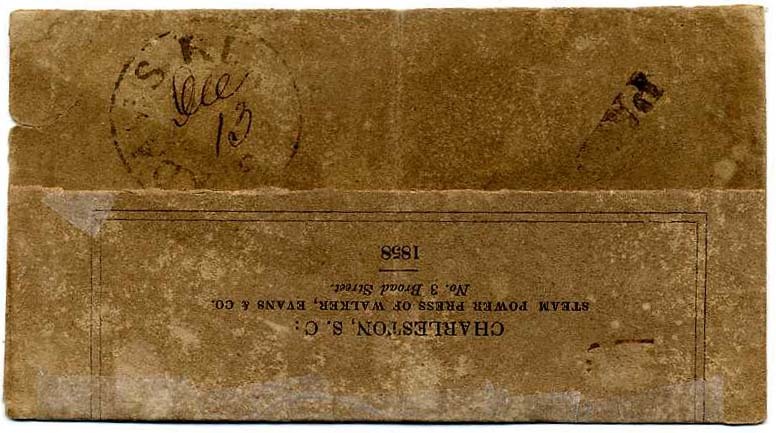 YORKVILLE / S.C. // OCT / 16  cds on back of small stampless commercially made cover with matching PAID 5, CC type B, addressed to “James H. Quinn, Corprel, Compiny B, 5the Regment S.C.V. Tubor Hall post ofice, Virginia, Va. Near Jarmintown” (“great” spelling…) Military records reveal no more other than promotion to the rank of Sergeant in 3rd Division, 1st Corps, Dept. Northern Virginia. 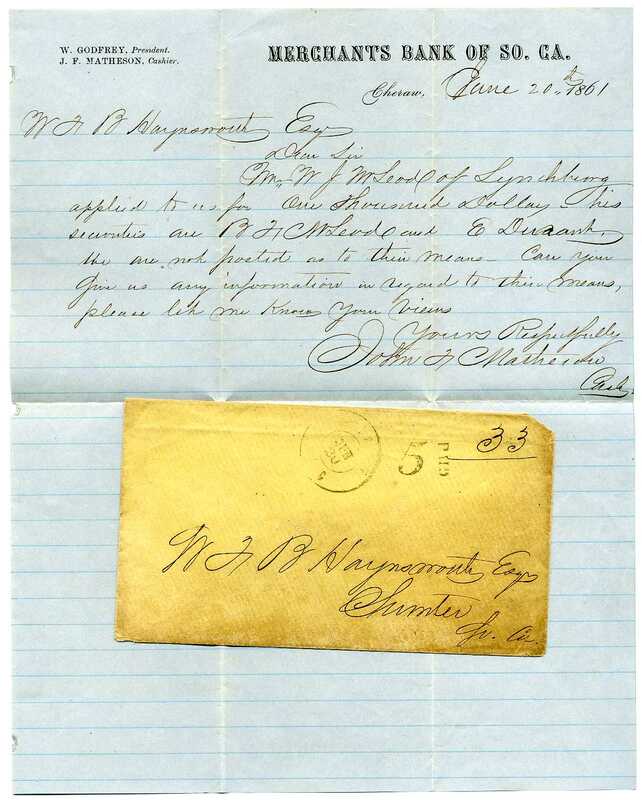 Company reorganized and Co B became Co F April 1862. Bit of cover erosion at bottom, not very noticeable, open 3 sides to display, Ex Kohn. $200. CHARLESTON / S.C. // MAR / 4 / 186 neat cds with matching PAID 2 handstamp (CSA type C) on gray part-printed St. Andrews Society circular to J. B. Campbell, Esq., Charleston; tiny erosion hole, fresh and Very Fine drop letter use. $450. James Baxter Campbell (1808-1883) was a Charleston attorney, businessman and politician. A Unionist, he served as a confidential agent and correspondent in Washington, DC, for the Union. Much more information is available on the linked page. WALHALLA / S.C. / FEB / 15  cds with matching PAID 5 ” (CSA Catalog type A, CV $200) on stampless folded letter to “ J.E. Hagood, Esq., Pickens CH. 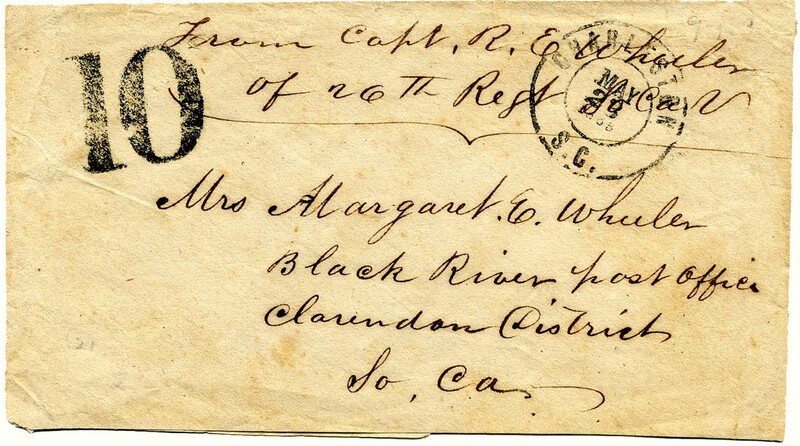 So Ca”; letter from A. S. Norman asks if Hagood would rent his house to use the lower story for a schoolroom and the upper half for the Lodge, back flap sealed with red wax, Very Fine, ex Kaplan. James Earle Hagood was in the mercantile business and Clerk of Circuit Court during the War, frequently called upon to perform services for soldiers away in the army and their families. $200. 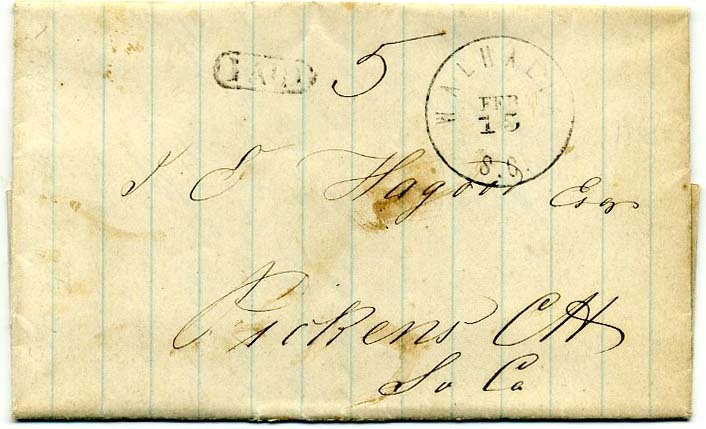 CHARLESTON / S.C. // JUL / 1 / 186_ bold clear cds – this postmark without last digit was used 1862-65. Based on the movements of the 51st Georgia Regiment, this would have been 1862 which makes it the FIRST DAY of the UNIVERSAL RATE. It is endorsed by Private I. G. Nobles, 51 Rigement Ga Vols [Army Northern Virginia] on cover to James a. Nobles, Georgetown, Ga. with manuscript “Due 20”. CCV $200 without regard to the important date. The 51st Georgia participated in the Battle of Secessionville (or First Battle of James Island) in June 1862. $850. 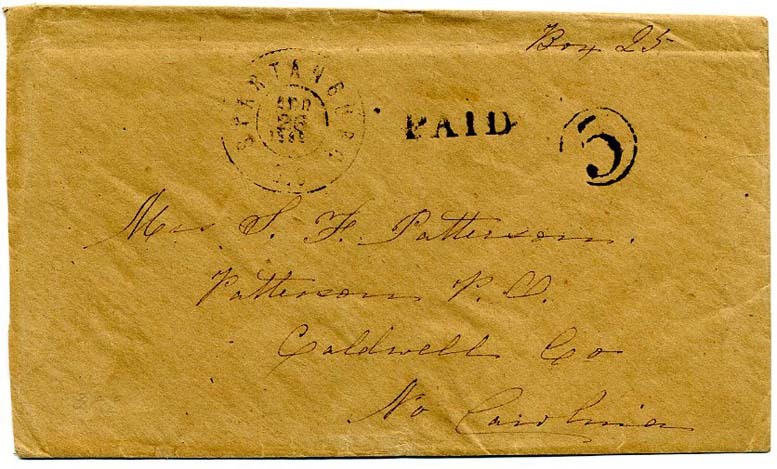 ROBERTVILLE / S.C. // JULY / 30 cds with bold matching PAID 10 (CC type C) on stampless cover to “Mr. 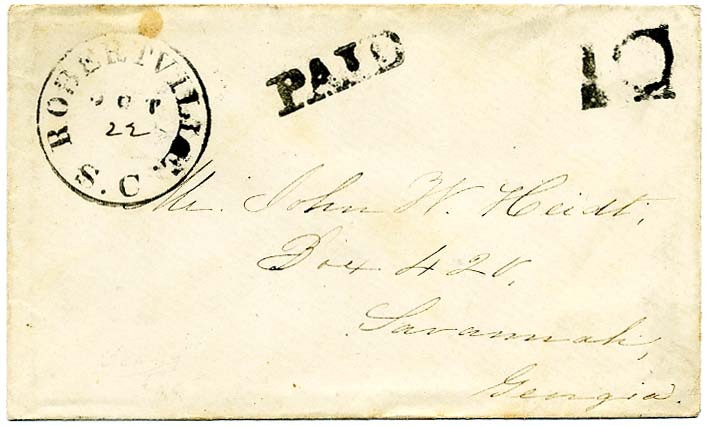 John W. Heidt, Box 420, Savannah, Georgia.” Cover very slightly reduced at bottom. CCV $250. $180. GRANITEVILLE / S.C. // NOV cds with matching PAID (no rate – CC type A) on stampless cover bearing additional backstamp of postmark, cover to “Mr. 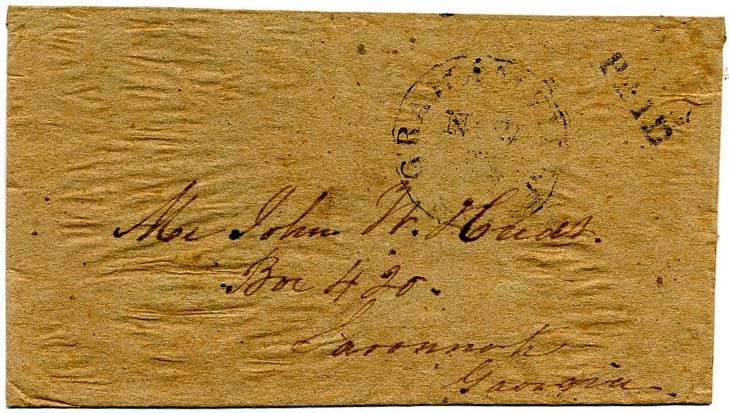 John W. Heidt, Box 420, Savannah, Georgia.” CCV $200. $150. COLUMBIA / S.C. // JUL / 18 bold neat cds with matching PAID 10 (CSA Catalog type M, CCV $200) on homemade cover to J. N. McElever Jr, Taylor’s Creek, S.C. $200. 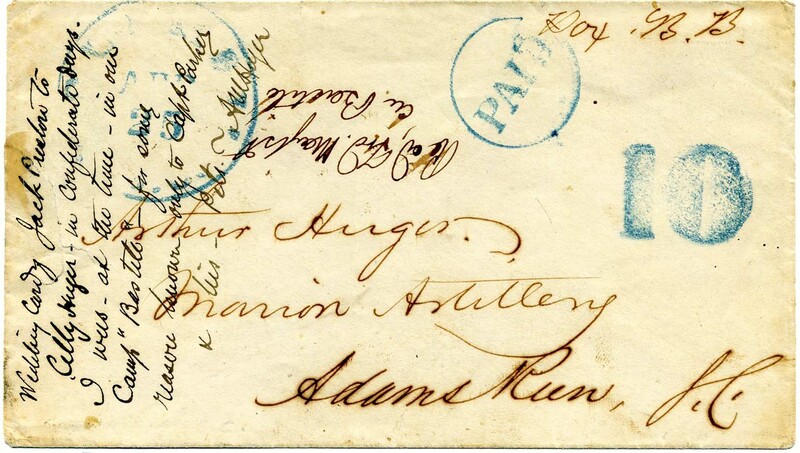 “Adams Run SC / March 6  / Paid 5” all in manuscript (CCV $125) on cover to A. B. 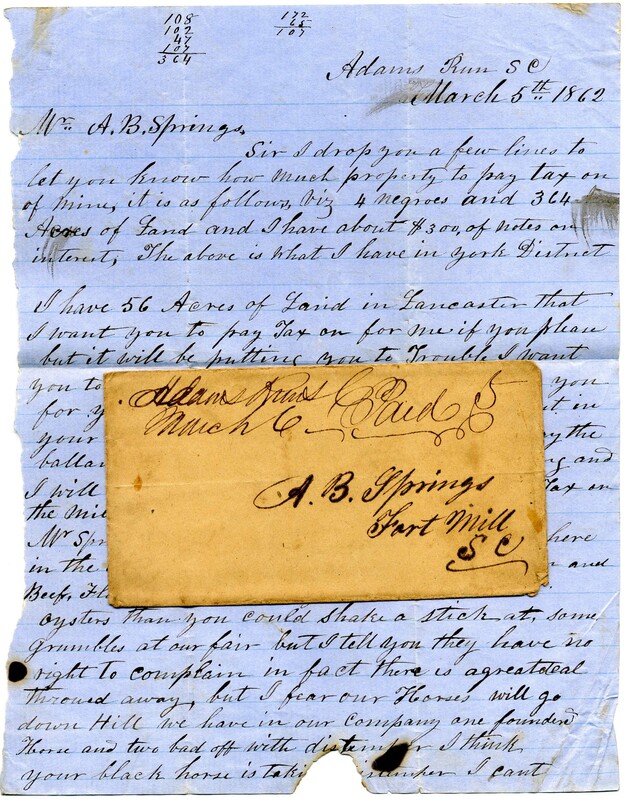 Springs, Fort Mill, SC, with an interesting letter enclosed from Sergeant A. M. Kee letting Springs know how much property to pay tax on for him, “It is as follow viz 4 negroes and 364 Acres of Land and I have about $300 of notes on interests. The above is what I have in York District. I have 56 Acres of Land in Lancaster…we are getting along finely down here in the swamps…more oysters than you could shake a stick at…I aint a good Horse Master but my horse looks as well as any of them and I have not time to take the right kind of care of him, for our Capt. has appointed me Orderly Seargeant (Pro Tem) and it seems to me like I have a big share to do…some sickness in our Company...measles…we are expecting a fight soon with the Enemy.” and so forth. A. M. Kee enlisted as 6-1-62 as a 1st Sergeant in Company H, SC 1st Cavalry. Some pieces of letter edge missing. Plantation Collection. $350. 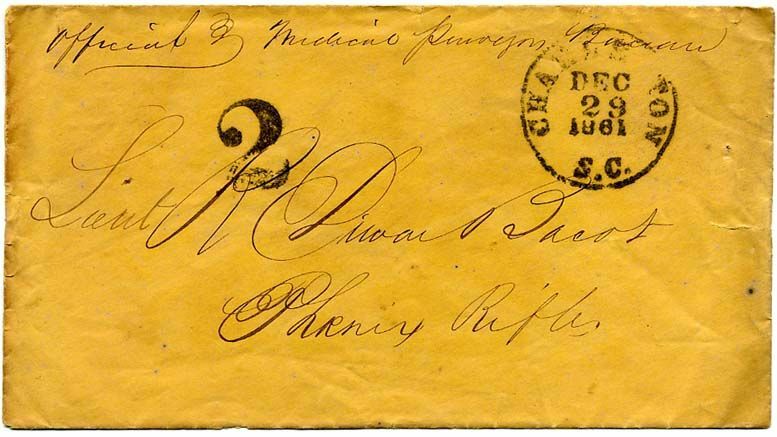 BLACK MINGO / S.C. // JAN / 3 cds, beautiful bold strike of this balloon postmark with matching PAID (no rate – CSA Catalog Type A, CV $350) on fresh TURNED COVER to Miss Emelia Henning, Darlington C.H., S.C.; inside franked with CSA 11c, 10¢ bluish green tied somewhat blurry DARLINGTON C.H. / S.C. cds Miss Eliza Greene, Black Mingo, SC; sealed flap tears. A Beauty! $450. 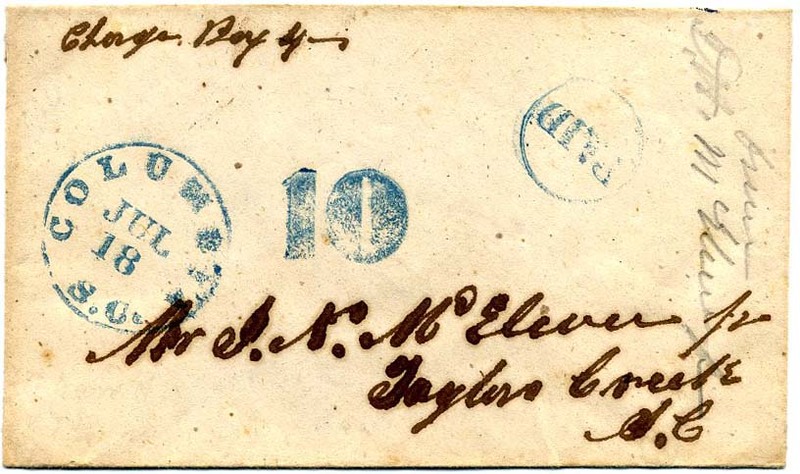 COLUMBIA / S.C. // NOV / 1 blue cds, beautiful bold strike with matching PAID 10 (CC Type J), addressed to “A. A. General Evans Brigade, Charleston, So. Ca.” with “O.B. 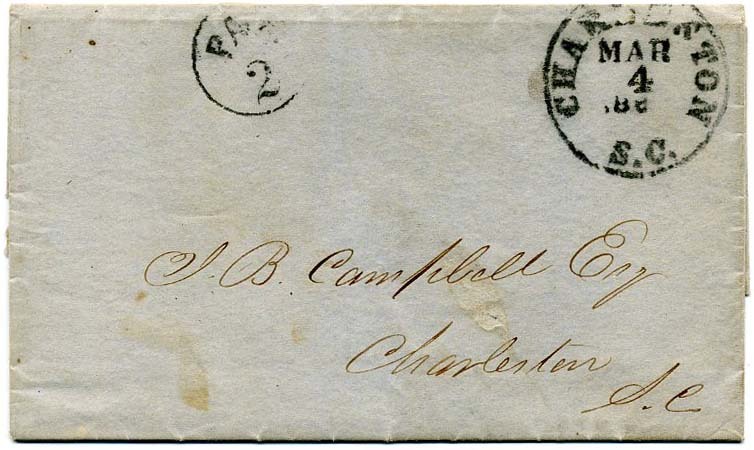 (Official Business) Ch Box 135” at upper left with “Commanding Off 22 Rgt SCV” added in peacock blue ink. 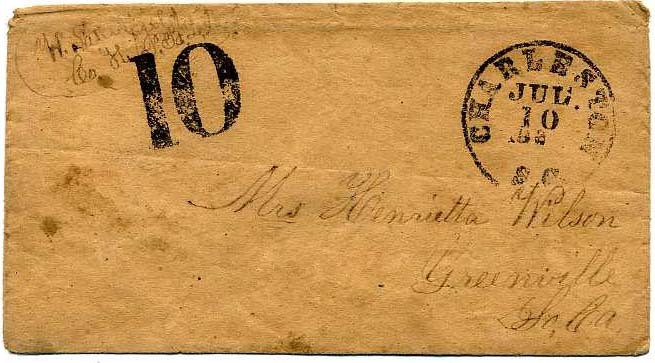 On TURNED COVER with huge 4-margin CSA 11, 10¢ blue inside tied by CHARLESTON / S.C. // NOV / 20 dcds to Mrs. Nancy Foster, Pleasant Grove, Greenville Dist, SC. 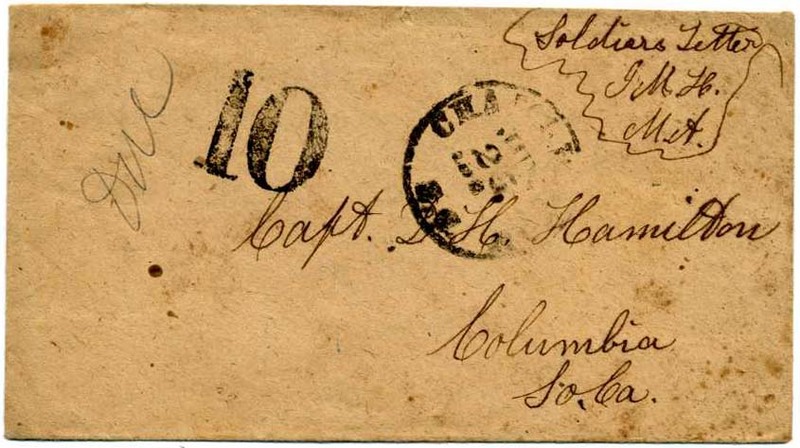 Also, in non-contemporary ink “Envelope twice used – see inside.” Currently, upper left flap turned to show inside stamp but that covers up the Columbia marking. Could be shown either way. Pretty cover. $250. 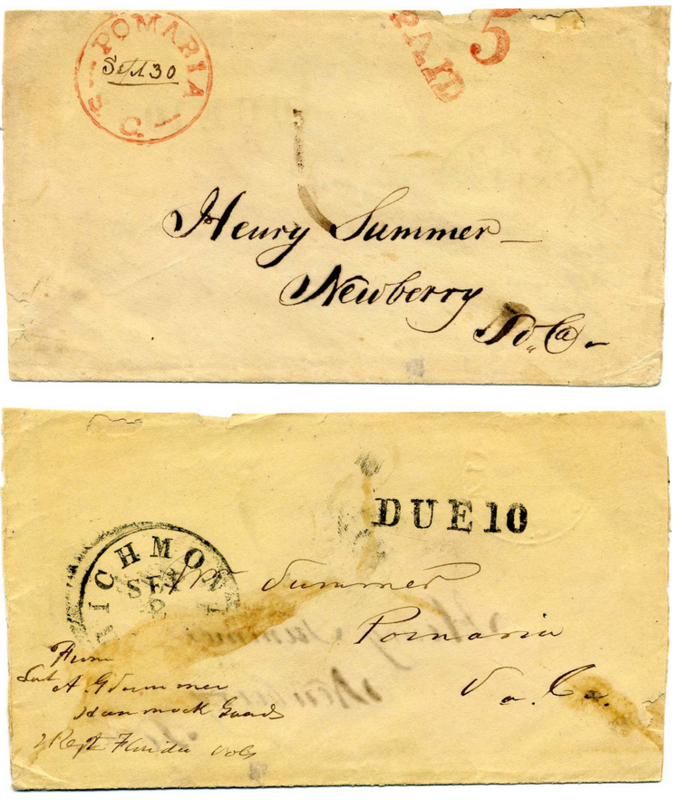 POMARIA / S.C. // Sept 30 (1861—date in pen) RED fancy cds with matching PAID 5 (CSA catalog type A, CV $250) on TURNED COVER to Henry Summer, Newberry, SC; inside use RICHMOND / Va. // SEP / 2 cds with matching DUE 10 to Wm. Summer, Pomaria, S.C., with mandated manuscript endorsement “From Lieut. A. G. Summer, Hammock Guards, 2 Regt Florida Vols.” Open 3 sides with edge defects but excellent markings. Ex Wm. A. Fox and Giana Wayman. $230. 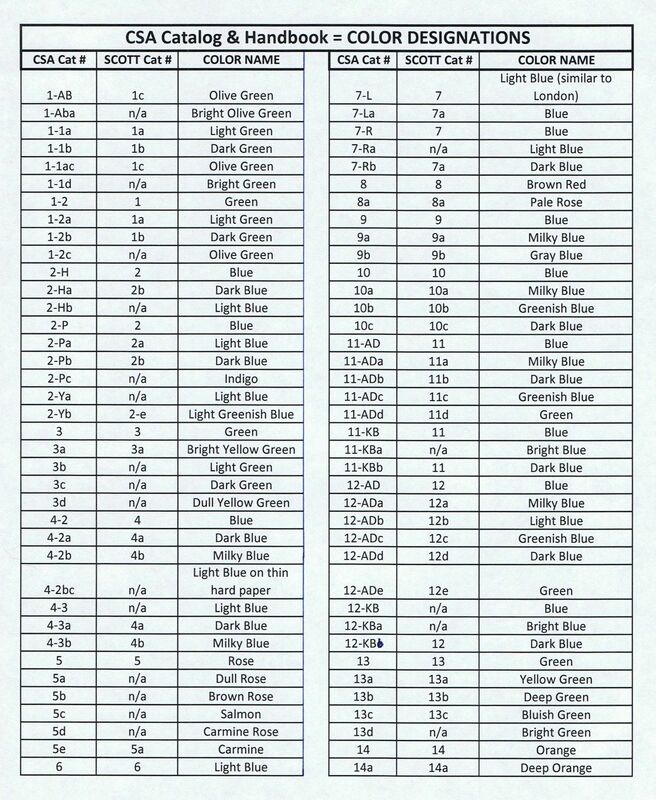 In the Newberry District, only Pomaria and Frog Level had handstamped town, date, rate or paid markings. Adam G. Summer served in Co. E. 2nd Florida Infantry, Hammock Guards, Finegan’s Brigade, Mahone’s Division, A.P. Hill’s Corps, R.E. Lee’s Army. Much more information is available on the linked page. COLUMBIA / S.C. // APR / 23 cds with matching PAID 10 on cover to Arthur Huger [Jr.], Marion Artillery, Adams Run, SC, with amusing notation by Huger, “Wedding card of Jack Preston to Celly Huger in Confederate Days. I was at the time in our ‘Camp Bastile’ for some reason known only to Capt. Parker and his Pets.” Flap faults, cover written up in Confederate Bulletin, Ex Weatherly, Kohn and Murphy. $150. 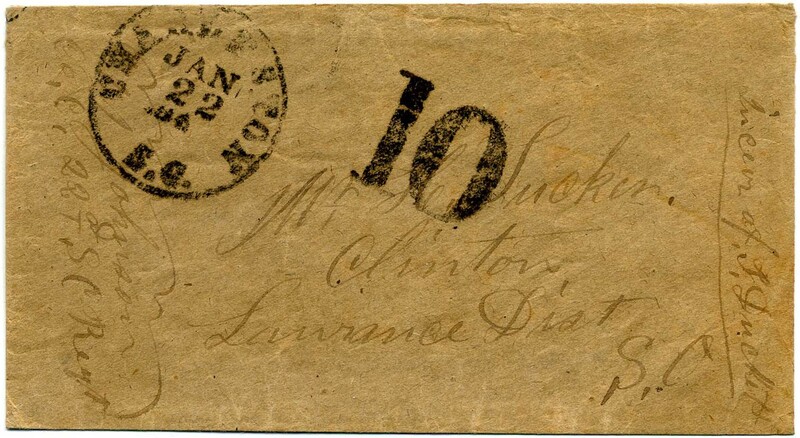 CHARLESTON / S.C. // MAY / 23 / 1863 double-circle datestamp with matching [DUE] 10 (CSA catalog type K) on soldier’s cover endorsed “From Capt. R. E. Wheeler of 26th Regt. So. Ca. 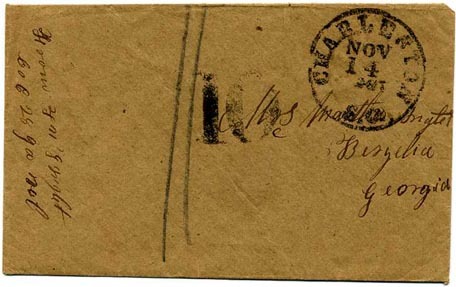 V.” to Mrs. Margaret E. Wheeler, Black River Post Office, Clarendon District, So. Ca.” slightly reduced at bottom. $140. Robert E. Wheeler served as a captain commanding Co. H, Regt South Carolina Infantry, Evan’s Brigade, Johnson’s Division, Beauregard’s Corps, Army S.V. & N.C. Much more information is available on the linked page.